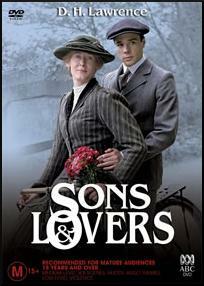 STARRING Sarah Lancashire, Georgina Chapman, Keeley Forsyth, Rupert Evans, James Murray, Hugo Speer. SYNOPSIS Based on the book written by D H Lawrence. The story follows the lives of one family in a coal mining town. Gertrude is a battered wife living with a drunken husband and watched over by an unfeeling stepmother. The years of marriage produce two sons and a daughter, but it the youngest son, Paul, which Gertrude develops a strong bond with. Paul is an artist, kept from the coal mines by his protective mother, but that is not all that his mother protects him from. As Paul grows up and becomes a man struggles put things before his mother, especially women. His brother, William, escapes the northern poverty for work in London and a higher standard of living. But for William, money does not buy happiness and he dies young and lonely. The film relays the realities of love and sorrow for all the Morel family as they struggle to cope with the uncertainty of life.